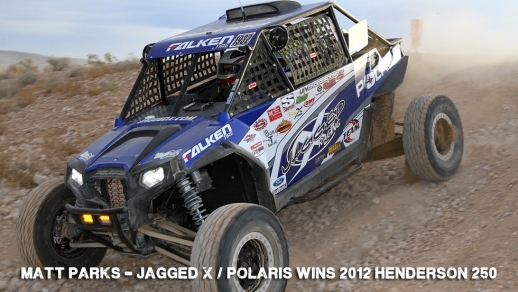 RANCHO CUCAMONGA, CA – Falken Tire, a critical high performance choice for driving enthusiasts on pavement and off-road, scored two wins as well as second place with Polaris Racing’s Jagged X, the largest and most successful UTV racing team in North America, in the Henderson 250, a part of the demanding Best in the Desert race series. Jagged X drivers Matt Parks and Jason Spiess took the checkered in their # 1932 Polaris RZR XP 4 UTV in the PRO UTV class, closely followed by teammates Brandon Schueler and Blake Van De Loo’s #1919 Polaris. Jagged X’s third entry – the #1991, driven by Bill Schueler and Mike West, took top honors in the Sportsman Class. 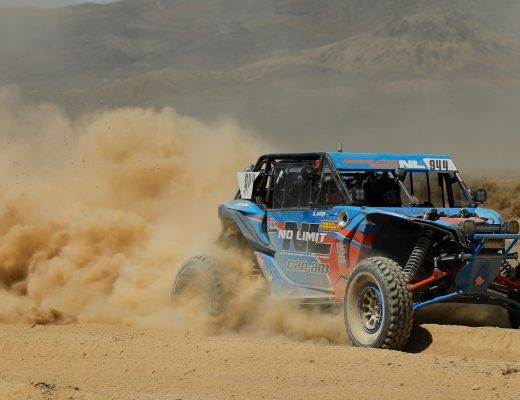 None of the vehicles had a single tire failure, with the PRO UTV vehicles competing on Falken’s WildPeak All-Terrain off-the-shelf tires, sized 30×9.50 R15, and the Sportsman entry also running stock, original equipment WildPeaks, sized 235/70 R15. 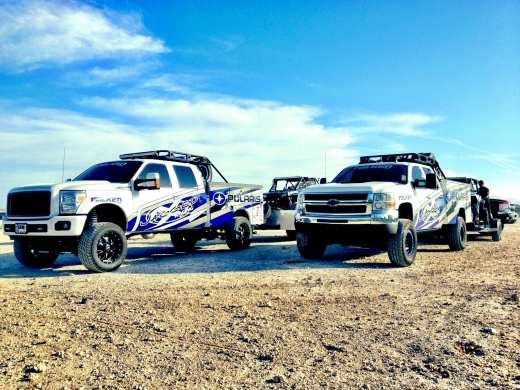 Created and hosted by the City of Henderson, NV, the 2012 Henderson 250 marked the 11th year for this race. The start/finish line, as well as the course and spectator areas were located in nearby Jean, NV. “We had a great race,” stated Jagged X’s Matt Park. “We started nearly last and just picked our way through the pack. By the beginning of the third and final lap, we were in first place and brought it home. With an aggressive stance for maximum traction, the WildPeak A/T stands out from the crowd, featuring a symmetric five-rib pattern and rigid block designs allowing for exceptional on-road response and optimized off-road handling, coupled with two stiff, extra-wide steel belts for stability. The tire is offered in today’s most popular original equipment sizes in metric and LT metric with choices of 15- to 37-inch wheel diameters.